Two of Porsche’s most famous long-distance race-winning cars will be driven at Australia’s most famous long-distance race track – Mt Panorama – in the first of a number appearances around Australia throughout 2010. The Porsche 935, winner of the World Constructors Championship in 1976 and 1977, and the GT1 road-version of the triumphant 1998 Le Mans 24 Hour winner arrive in Australia this week for a national tour. The two cars of Porsche’s “Rolling Museum” will get their first taste of Australian racing tarmac at the Festival of Sporting Cars (FoSC) at Mt Panorama on Monday 5th April over the Easter long-weekend. Additional track demonstrations are planned for the Historics in Queensland in June and the Winton Historics in Victoria in August. In between, the 935 and GT1 will be displayed at Porsche Centres around the country. “Australians are motor sport enthusiasts and very knowledgeable of Porsche’s motor sport heritage,” says Klaus Bischof, head of Porsche’s “Rolling Museum”. “The 935 and GT1 are iconic Porsche racing cars and I know they will be appreciated by Porsche fans Down Under. The 935 we are bringing is very famous in particular, having been raced by Jacky Ickx and Jochen Mass.” The Porsche 911 GT1 was piloted to victory at Le Mans in 1998 by Allan McNish, Laurent Aiello and Stephane Ortelli. The GT1 was the first Porsche to feature a carbon fibre monocoque chassis to reduce weight and improve rigidity. 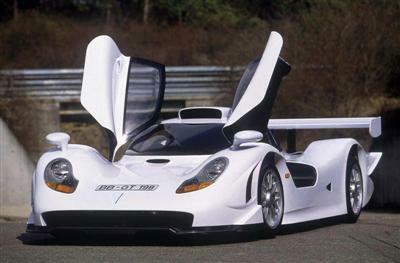 The GT1 was powered by a twin turbocharged, 3.2-litre, six-cylinder boxer engine producing 400 kW (550 hp) at 7,200 rpm. Its top speed was 350 km/h. The striking Porsche 935 is arguably even more famous than its GT1 travel mate. It was, after all, the 935 that brought Porsche the World Constructors Championship in long-distance sports car racing in 1976 to begin a new dynasty of on-track success for Porsche with the “silhouette” sports car formula. Much of the 935’s legendary status comes from its unique appearance with a very flat nose section and rear wing designed not to project beyond the car’s contour. And it had performance to match – a turbocharged, 2.8 litre, boxer engine producing 434 kW (590 hp) at 7,900 rpm and a top speed of 340 km/h. Accompanying these race-winners from the “Rolling Museum” is the 1963 Porsche 356 B Carrera GS/GT – affectionately known as the “Frost Scraper” after the slope and shape of its 'nose' – which will compete in the forthcoming Targa Tasmania in late April. 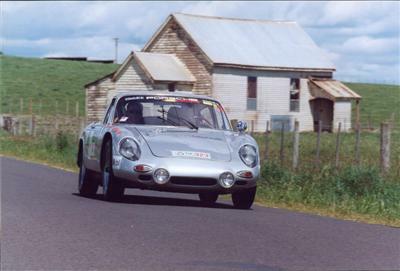 Bischof, making his 11th appearance at Targa Tasmania, will drive the 356, hoping to emulate his class victory in 2000 with the very same car.